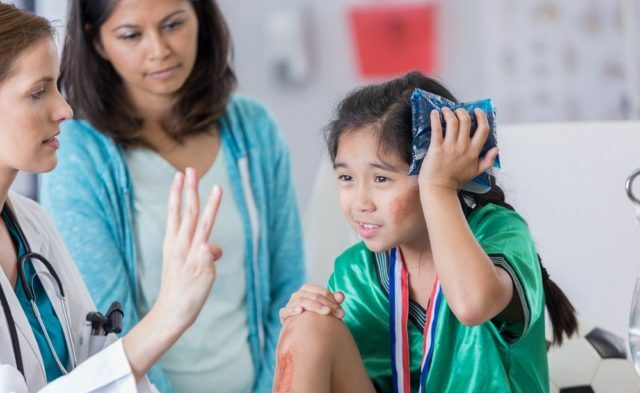 In pediatric patients with an isolated severe traumatic brain injury (TBI), hospital admission systolic blood pressure (SBP) in the <75th percentile is associated with an increased risk for in-hospital mortality across all age groups, according to a study published in Pediatrics. Study investigators retrospectively reviewed patient data from the National Trauma Data Bank between 2007 and 2014. A total of 10,473 patients with severe TBI were enrolled. The researchers evaluated the association between SBP admission percentiles and in-hospital mortality risk, using a multivariable regression analysis. Admission SBP was classified into 5 percentile categories based on guidelines from the American Academy of Pediatrics, including SBP values <5th percentile, 5th to 24th percentile, 25th to 74th percentile, 75th to 94th percentile, and ≥95th percentile. In the overall cohort, the in-hospital mortality rate was 22.8% (n=2388). Mortality rates were significantly higher among patients with SBP values <5th percentile vs patients with SBP in the 75th to 94th percentile (relative risk [RR], 3.2; 95% CI, 2.9-3.6). The in-hospital mortality rate was also higher among patients in the 5th to 24th percentile of SBP (RR, 2.3; 95% CI, 2.0-2.7), as well as in patients with SBP values in the 25th to 74th percentile (RR, 1.4; 95% CI, 1.2-1.6) compared with the 75th to 94th percentiles. In addition, the investigators observed an increased risk for in-hospital mortality among patients with SBP in the <75th percentile across all ages. When researchers applied the American College of Surgeons’ definition for hypotension, the SBP targets were higher than the 5th percentile definition of hypotension and lower than the 75th percentile definition. Only patients aged 15 to 17 years had an increased in-hospital mortality risk with SBP values in the ≥95th percentile vs the 75th to 94th percentile (RR, 1.4; 95% CI, 1.1-1.7). The retrospective nature of the study, as well as the lack of available data on mean arterial pressure, intracranial pressure, and other potential confounders, represent potential limitations of the analysis. Suttipongkaset P, Chaikittisilpa N, Vavilala MS, et al. Blood pressure thresholds and mortality in pediatric traumatic brain injury. Pediatrics. 2018;142(2):e20180594.